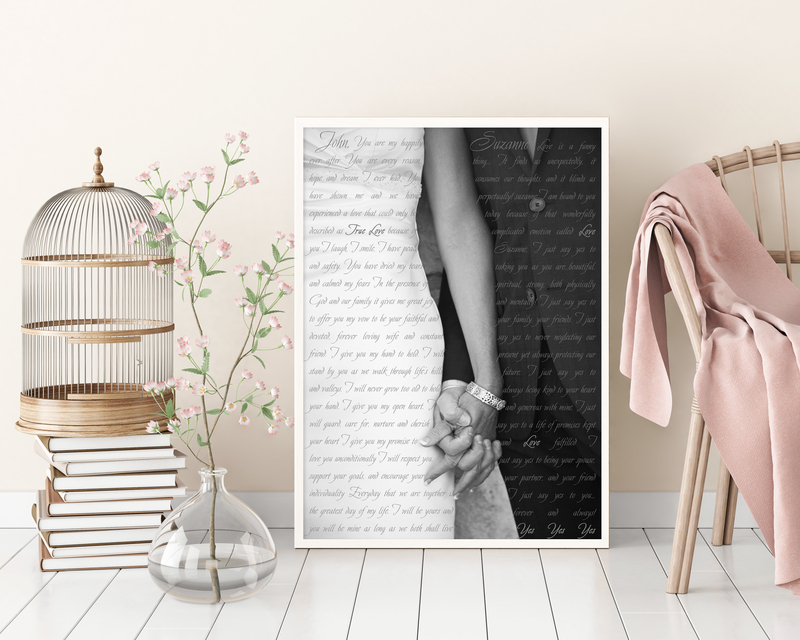 Have your wedding vows printed and framed on museum quality fine art papers. Canvas also available for most designs. 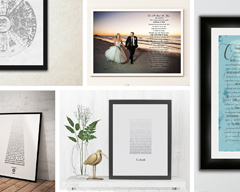 Add wedding vows, song lyrics or any wording to your favorite photo. Have your designer print set in an all-wood frame. Provide your photo and wording for a timeless piece. Canvas prints arrive ready to hang and do not require any frames. 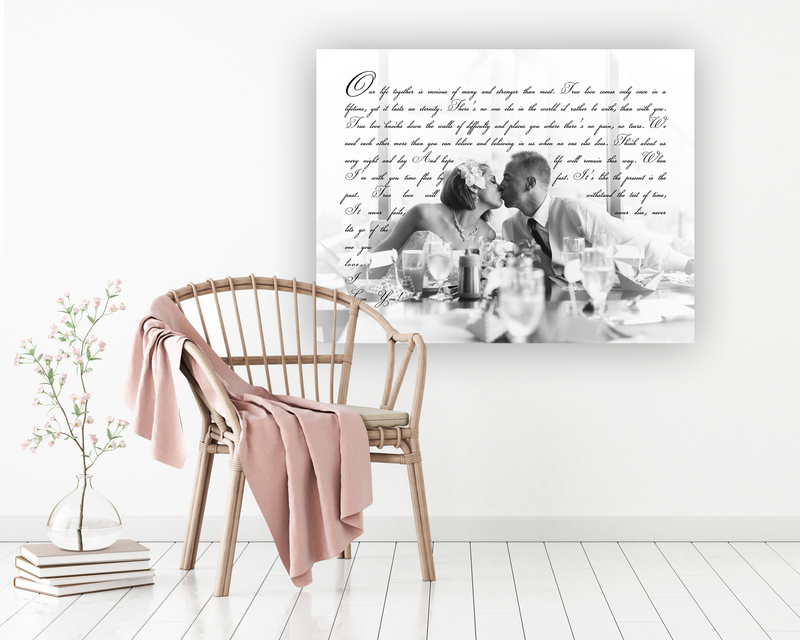 Browse through our gallery of custom products and personalized wall decor and choose the best design for your occasion. 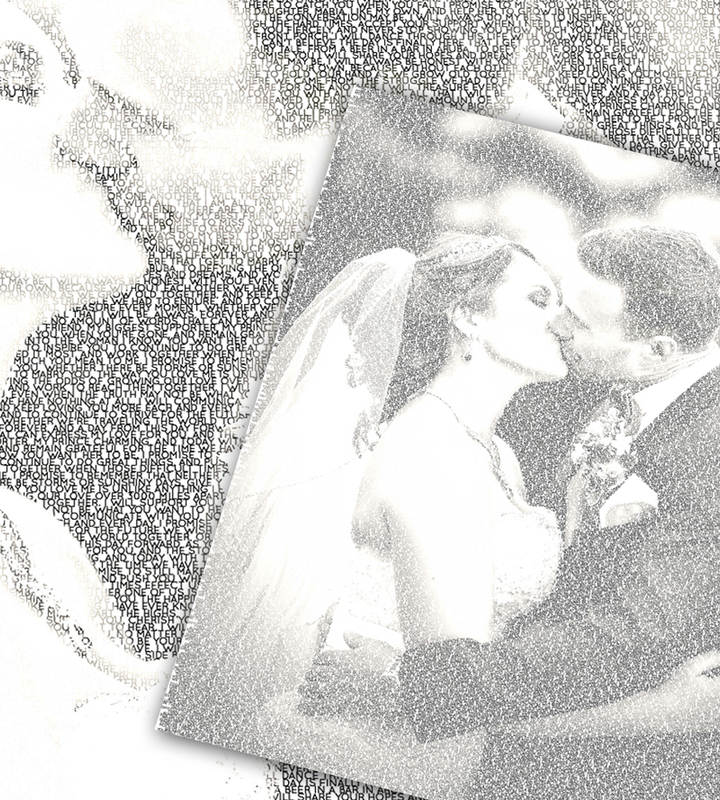 We offer custom photo designs, wedding vow print designs and more. Pick out one you love and get ready for step two. After you've picked out the perfect design, compose your vows, song lyrics, or other wording and type them into the box provided. If you are ordering a photo design, you can also upload your photo during this step and add special instructions for your designer. If you have a favorite font, let us know by adding special instructions. Have you selected a size and print style yet? If not, do that now and then add the product to your cart. Continue to Check-out to complete the order. You'll hear from a designer soon after and receive a digital proof to review within 48 hours. 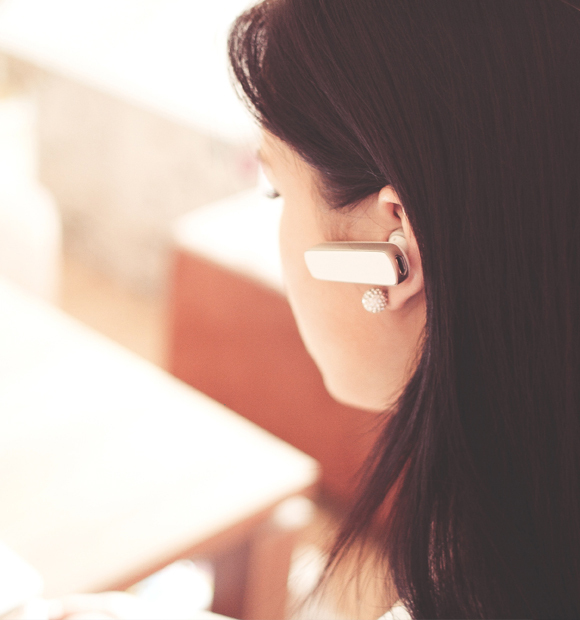 If you're short on time, feel free to contact us to ask about rush processing. Questions about the process? Check out our short instructional video. 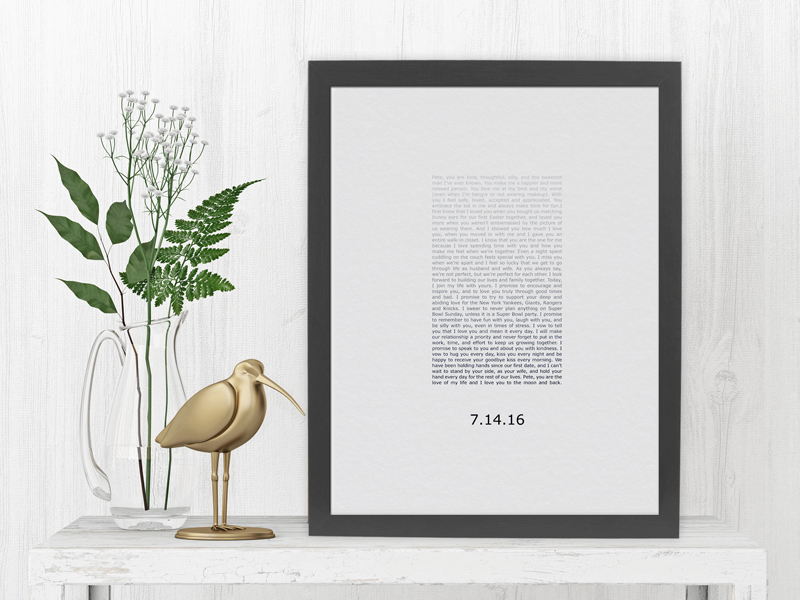 We'll show you how to add your text, vows, lyrics or wording to your custom order. And if you're ordering a custom photo design, we'll also show you how to upload your photo to us. After you've ordered, a designer will be assigned to your project and will work one-on-one with you. Most proofs are ready to review within 48 hours, and if you aren't happy with your proof just let us know what you'd like to change and we'll be happy to accommodate. There are no limits on revisions and we will never print your design unless you are completely satisfied with the way it looks. Once you've officially approved your design, we will forward it to our fine-art printing partner where it will be produced on high quality fine art paper or canvas. Quality is a big deal to us and we know it's important to you too. That's why all of our prints are produced on museum quality papers and canvas. So you can be confident that the gift you give will last a lifetime.